When my daughters started going to school dances, I realized quickly that they would leave their purse in the car or give their phone and keys to their date to hold. Even though my girls dated nice young men, I wanted to take precautions when possible. 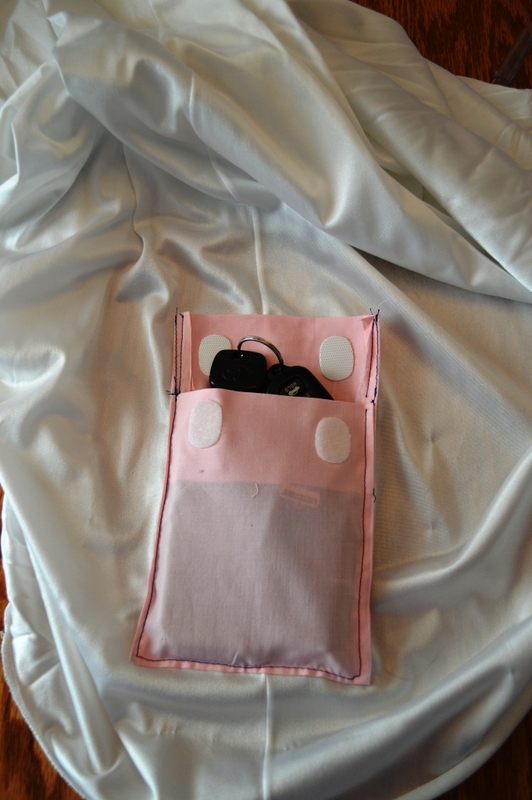 That is when I came up with this idea of a pocket on the slip where my girls could keep their phone, car key if they drove for a girls choice, personal toiletries and necessities. To make it work the best, have your daughter put on the slip she will be wearing under her dress and then have her sit on a chair. 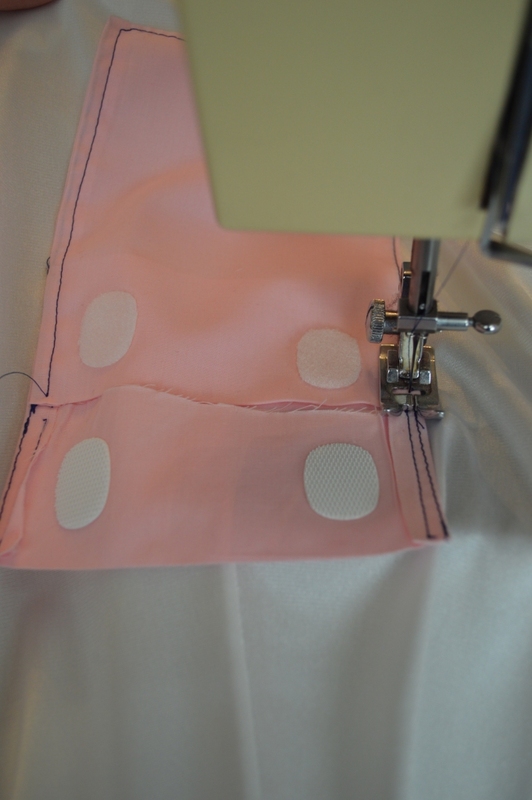 Mark on a side seam where the pocket should sit so it doesn’t hit the floor, or show noticeably under the dress. 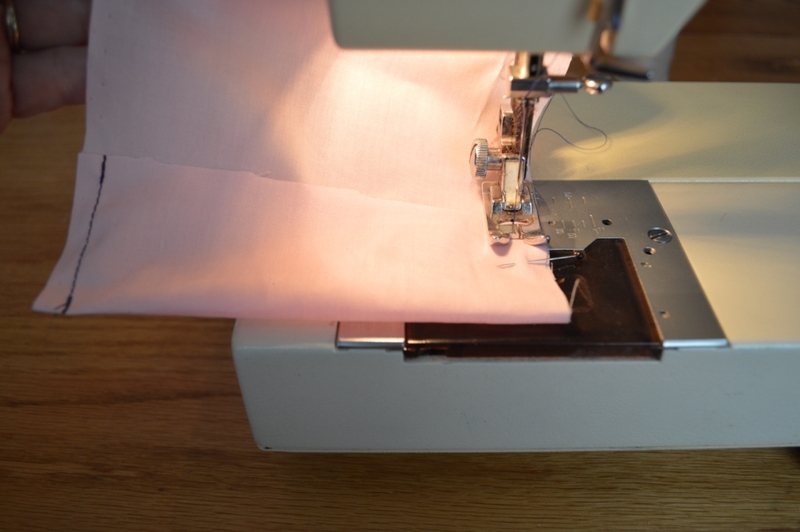 This really is not difficult and remember it will be under a dress, so do not stress about the sewing, it just needs to be functional for your purpose. 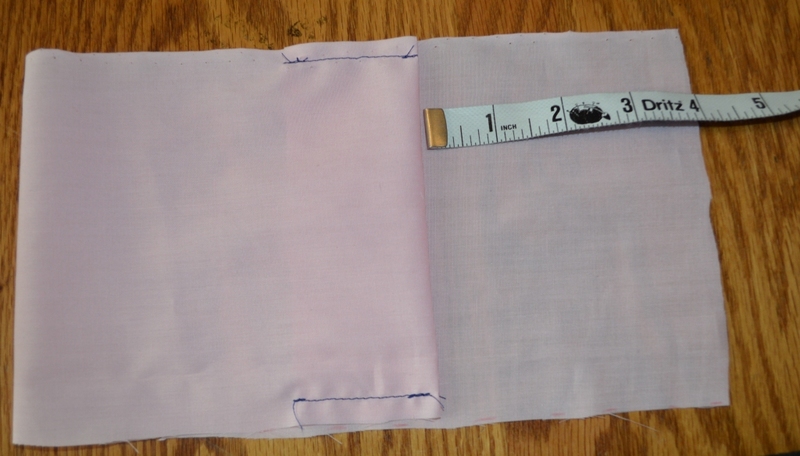 Cotton blend fabric to match the slip (I used contrasting fabric and thread for easier viewing of directions). 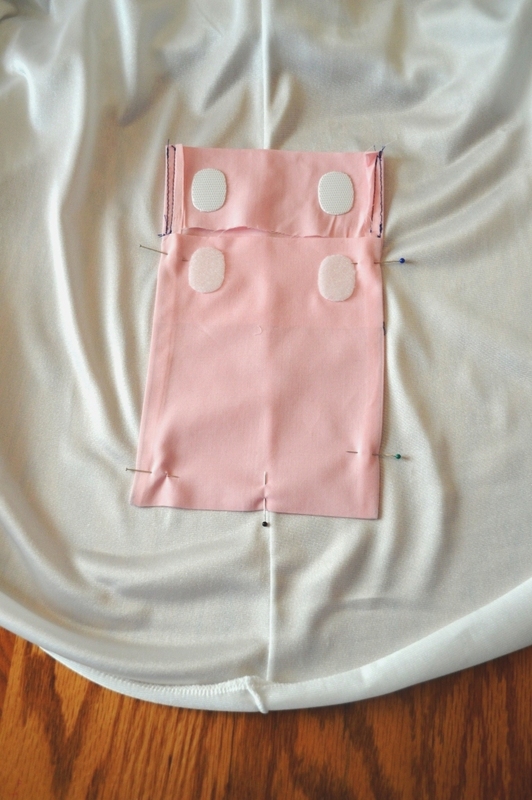 Use a cotton blend so it will not stretch and be durable. 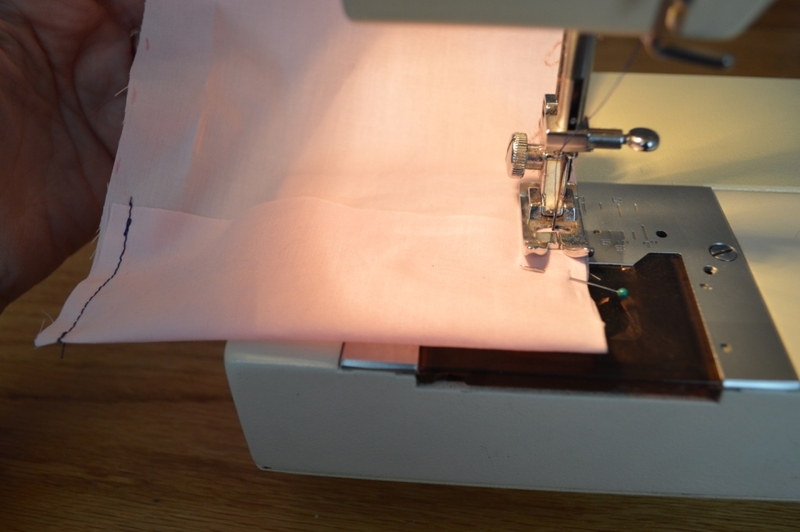 A sewing machine with matching thread. Optional – Velcro that is heavy duty and thin as shown, or snaps You can make the pocket the size you need. For an example I made mine 5 1/2″ wide by 18″ long. 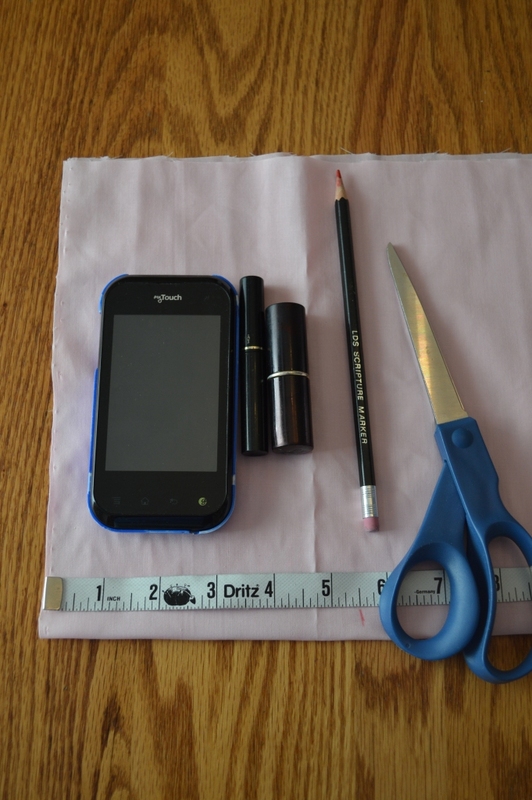 Place the necessary items but keep it simple though, it is not meant to be a purse. Mark and cut. 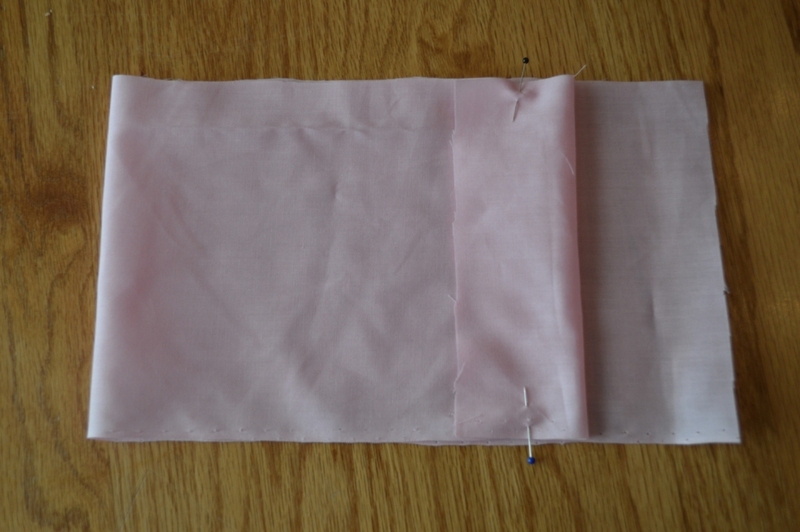 Measure how far down to turn the fabric to make the flap. 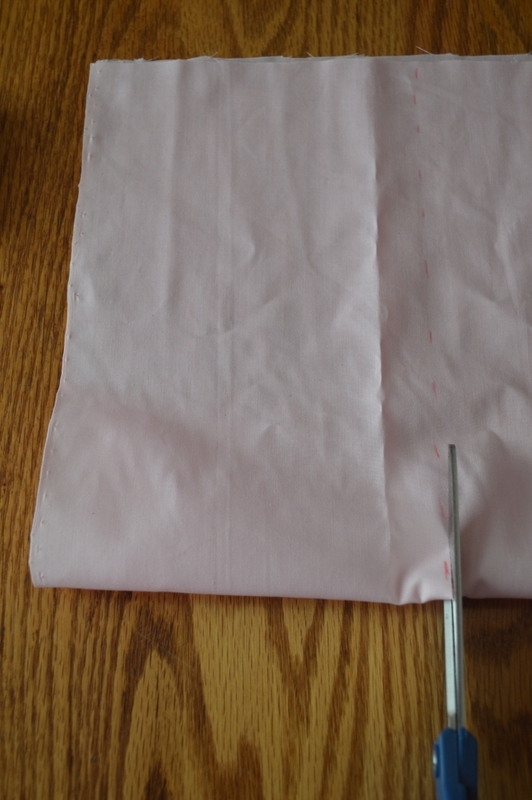 Pin to hold for flap and then open the fabric. 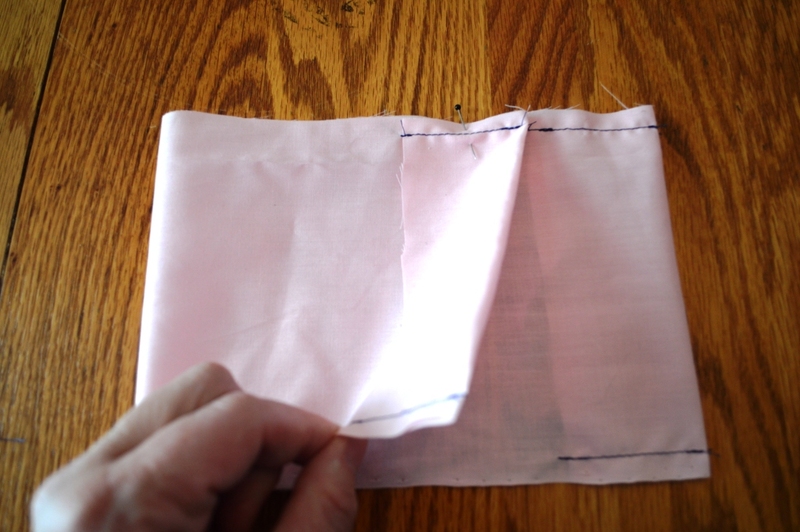 Fold over 2″ and pin – make sure to fold towards the opposite side, so that right sides will be together when the pocket is turned right side out. Stitch, again using the presser foot as a guide. Do NOT stitch past the edge of the fabric. 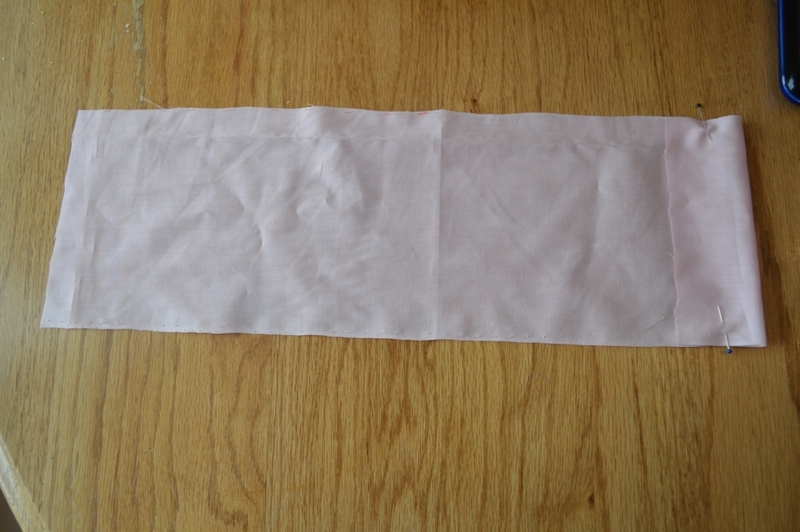 Fold fabric so that RIGHT sides are together. 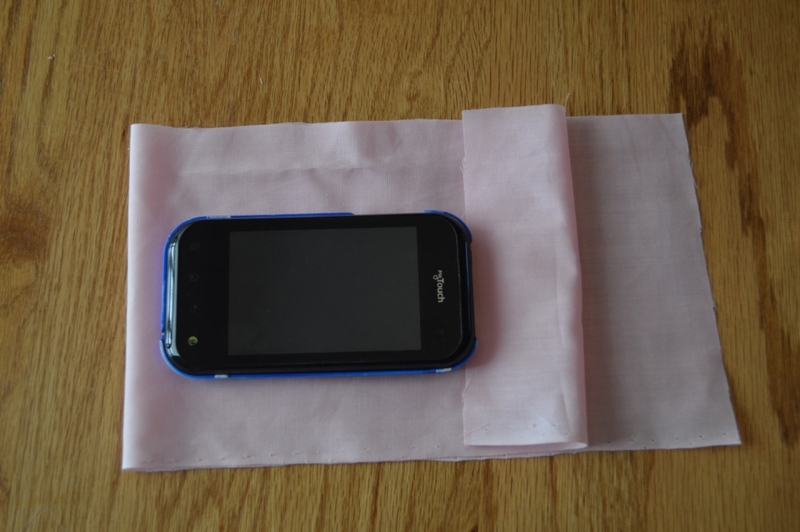 Bring fabric together with the fold of one side, coming to the fabric edge of the other fold. 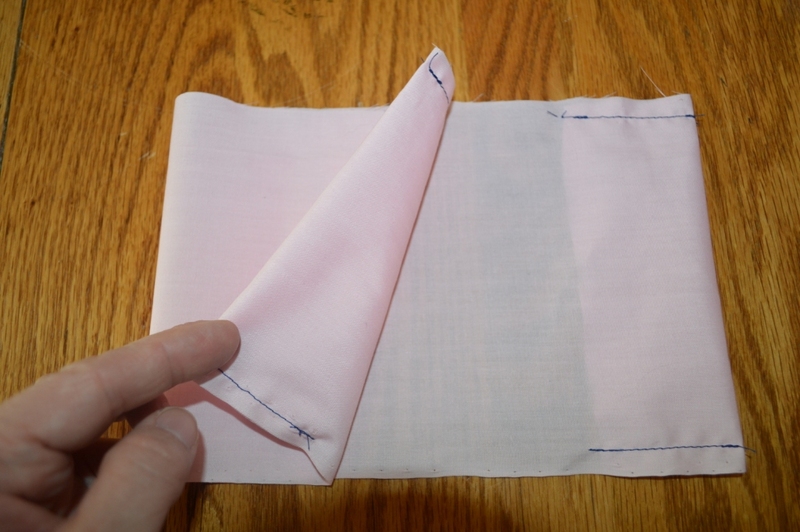 Stitch both sides of the pocket, again using the presser food as a guide, only to the point of where the folded edge meets the bottom edge of the other fold. Turn right side out and press. 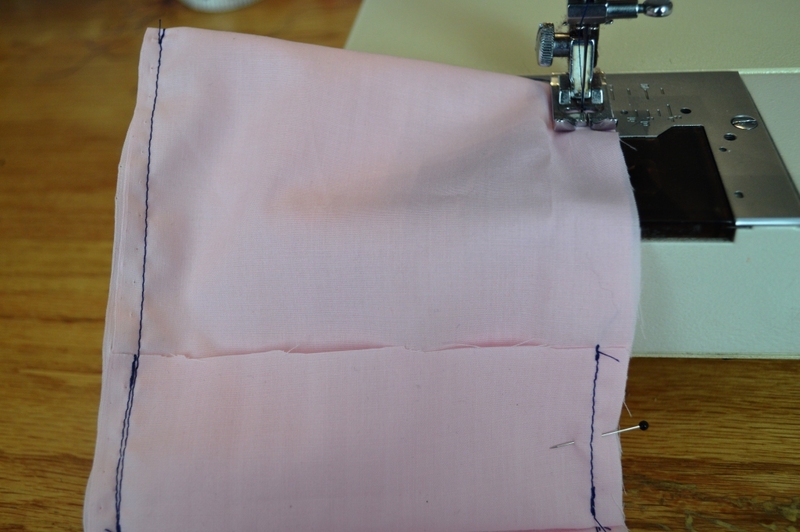 You can turn the edge under and stitch if desired, just be careful not to catch the edges in the fold. 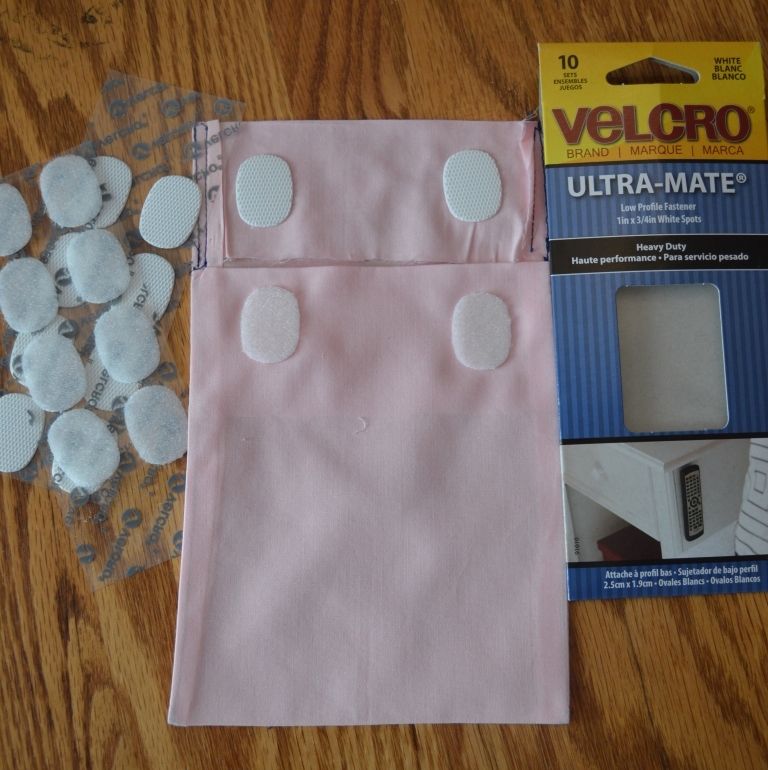 If you choose to use the thin, heavy duty Velcro, simply stick on the fabric, measuring and marking to have them even. Pin pocket to the slip. 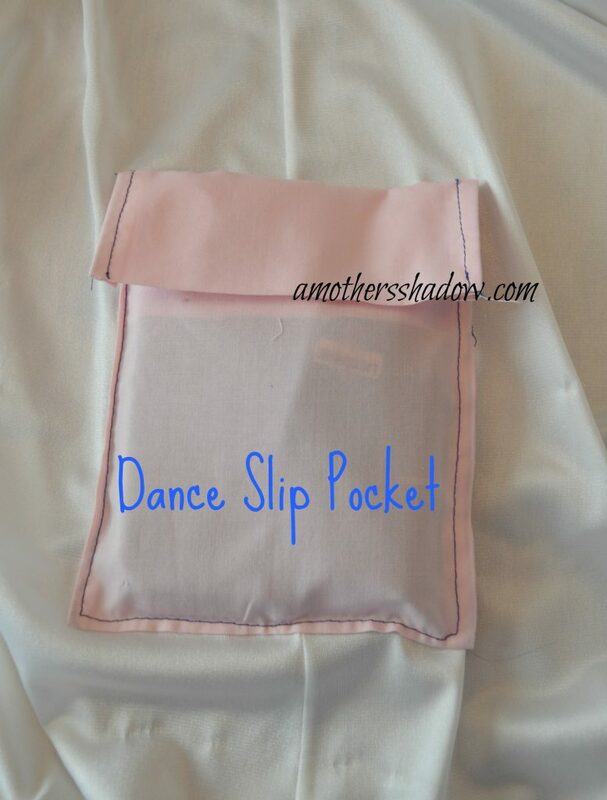 Have your daughter try on the slip, pin on the pocket and test for best placement not to be seen or an annoyance when dancing. 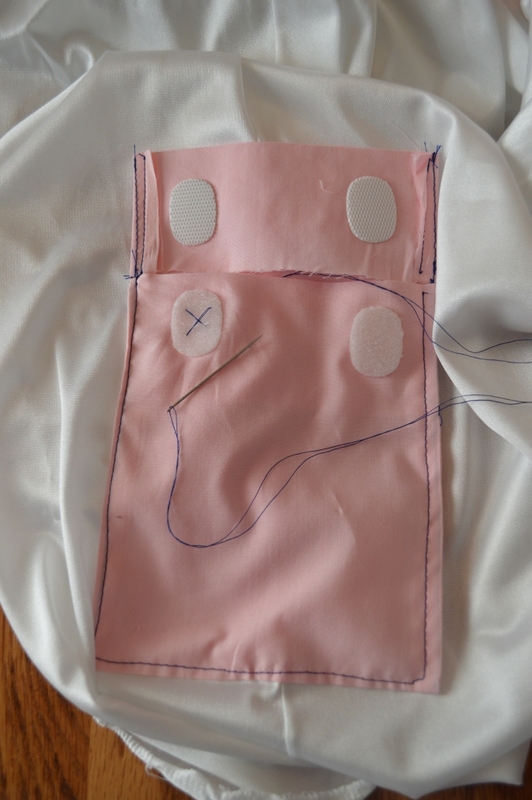 Stitch the pocket onto the slip using a large stitch so it can be easily removed when not needed. 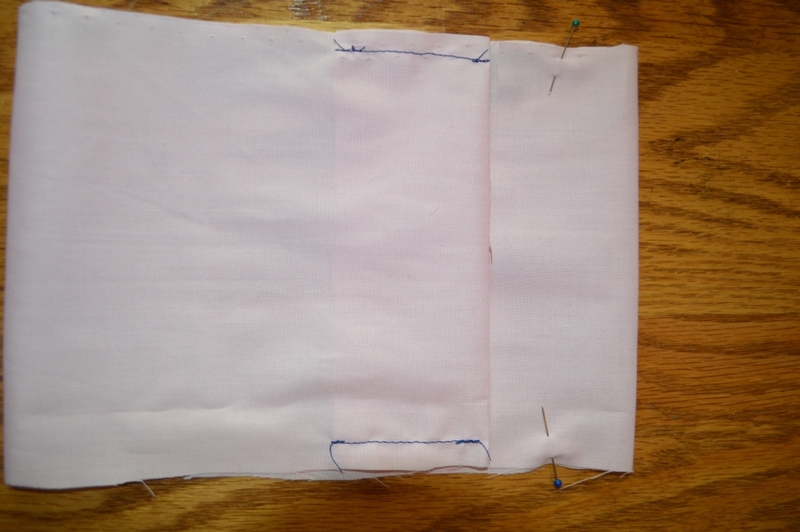 Back stitch at the top of the pocket, using care not to go onto the fold, which would hinder the folding of the flap over the pocket. Test by placing phone, car key, ‘personals’, possibly even drivers license and credit card if desired. If you feel the Velcro needs a bit of reinforcement, simply thread a needle and do a few cross stitches. 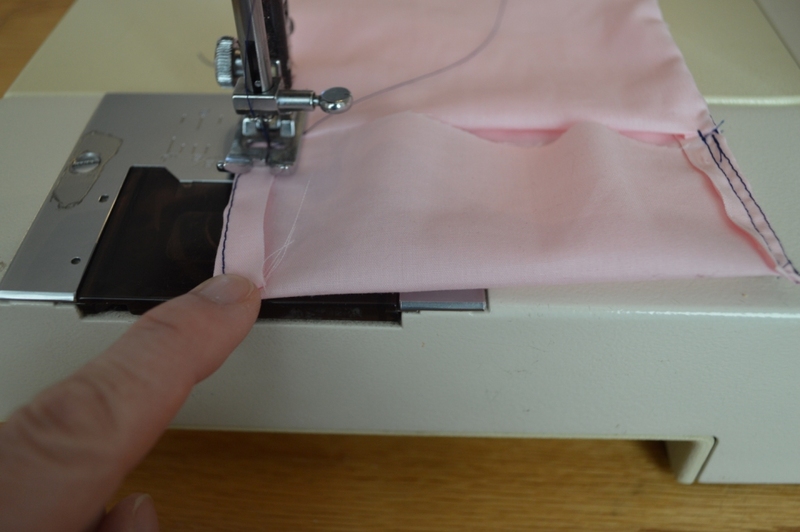 Do NOT attempt this on the sewing machine as the sticky gum from the Velcro WILL coat your sewing machine needle and could possibly be a problem. Clean the gummy residue off of your needle used to do the cross stitch before using on another project. 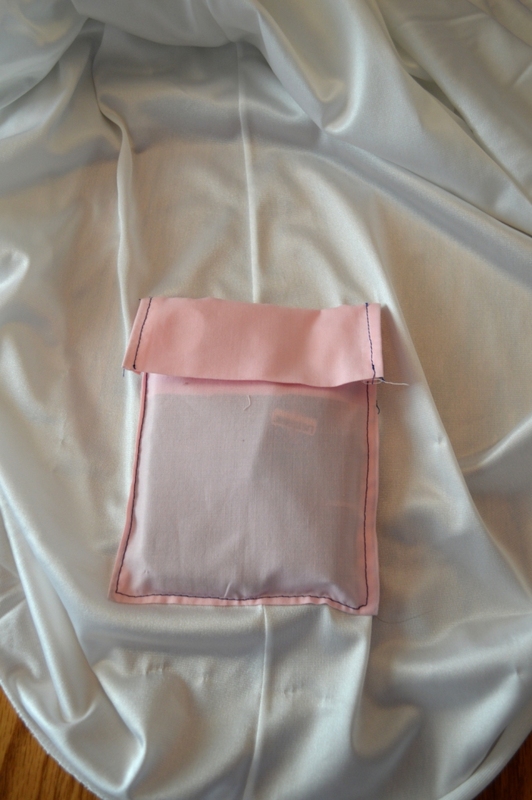 Now you have a fabulous, removable pocket to put on any slip or undergarment to provide you with a bit of piece of mind while your girl is on a date.